UPDATED October 29, 2018 — NEWARK, NJ — NJTV, New Jersey’s public television network, announced it will host and broadcast four political debates at the Agnes Varis NJTV Studio in Newark this October, including one with PBS NewsHour Correspondent Lisa Desjardins as co-moderator. Debate coverage, provided by NJTV News, will be available on-air and online during prime-time Wednesday nights beginning October 10th at 8pm. NJTV News Senior Correspondent David Cruz will moderate the Kim/MacArthur debate on October 31st. Click here to watch the CD-3 debate online at NJTV’s YouTube channel. It will also be streamed on NJTVDebateNight.org and NJTV’s Facebook page. For those press covering the event, digital guidelines with pertinent links and social media handles are available here. Each debate is slated to run one hour beginning at 8pm plus an additional half-hour of expert commentary and analysis lead by NJTV News anchors Mary Alice Williams and Michael Hill. The debates will be livestreamed on NJTVDebateNight.org, YouTube and Facebook, with ongoing updates on social media. NJ Spotlight, the online news site and NJTV News content partner, will also provide live analysis, online blogs and fact-checks, and take questions and comments through social media for potential use on the broadcast and afterwards. Previously, NJTV News Chief Political Correspondent Michael Aron was joined by PBS NewsHour Correspondent Lisa Desjardins to co-moderate the U.S. Senate debate between Hugin and Menendez on October 24th. The U.S. Senate debate was also livestreamed on the PBS NewsHour website and its Facebook account. Aron also moderated the Sherrill/Webber debate on the 10th and NJTV News Correspondent Briana Vannozzi moderated the Lance/Malinowski debate on October 17th. 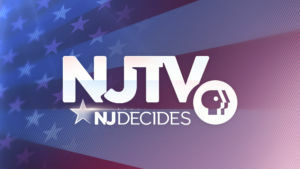 “Only NJTV, with its statewide broadcast reach and robust online platform, can offer constituents across all of New Jersey this type of access to the candidates, their platforms and topical discussion of the issues affecting them in prime-time,” said NJTV General Manager John Servidio. 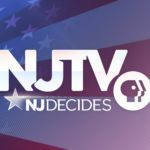 The network’s weeknight news program, NJTV News with Mary Alice Williams, will provide ongoing political coverage leading up to election day, along with news from across the state. On Election Night, NJTV News will offer comprehensive coverage from its studio and campaign headquarters across New Jersey. In 2017, NJTV hosted two Emmy-nominated Gubernatorial primary debates (one winning for Best Politics/Government-Program/Special and co-presented the Lieutenant Gubernatorial Debate with Montclair State University. Funding for NJTV Debate Night coverage provided in part by NJM Insurance Group. Major funding for NJTV News provided by Horizon Blue Cross Blue Shield of New Jersey, New Jersey Education Association, New Jersey Manufacturers Insurance Group, PSE&G, and RWJ Barnabas Health. See eligibility and participation rules for NJTV’s 2018 Congressional General Election Debates here.